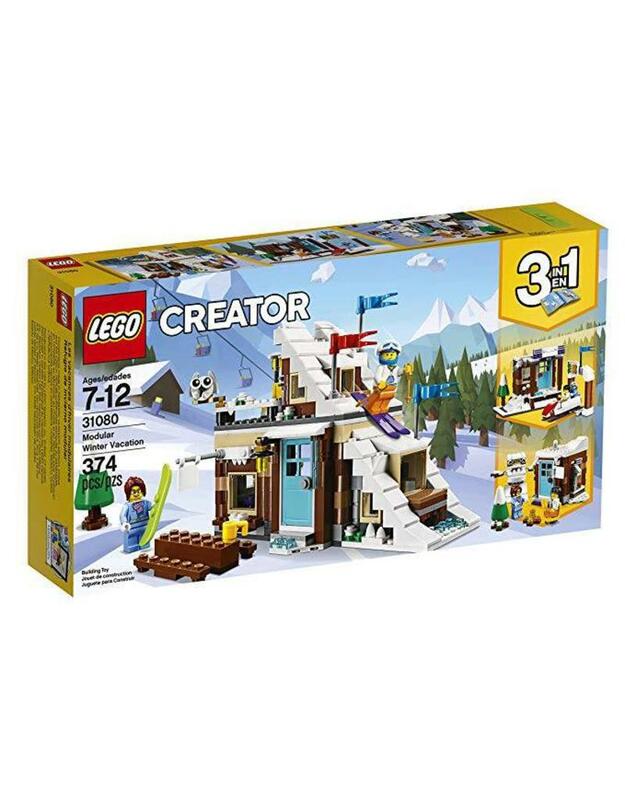 Enjoy active adventures with the LEGO Creator 3in1 Modular Winter Vacation set, featuring a cozy ski cabin with a rooftop ski slope, slalom flags, balcony with open fire, outdoor picnic bench and a shop with a detailed interior, cash register and a serving hatch from where customers can purchase ski equipment and drinks. You can mix and combine the buildable modules and easily swap the window, door and other modular sections to customize the ski cabin with the LEGO Creator modular system. This construction toy also rebuilds into a Bobsleigh Track with bobsleigh and camera or a Yeti Surprise, and includes 2 minifigures, both dressed for adventures in the winter landscape.